Over the years, we have acquired considerable experience in the field of component engineering for the electric and electronic industries. 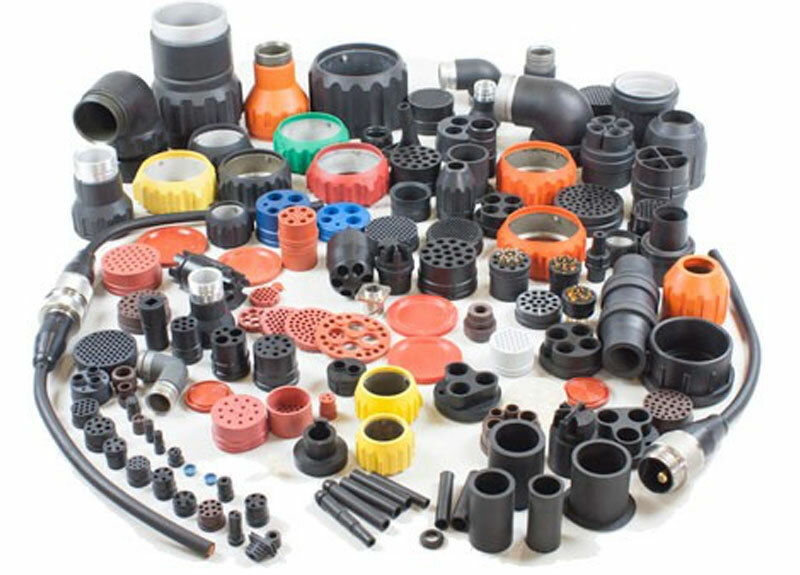 We are able to supply a wide range of products such as: inserts and grommets for round-section connectors, sleeves, backshells, rings and strain relief glands made from rubber-covered aluminium etc. The compounds used for these parts are up to extremely high quality standards and in compliance with the most stringent regulations on fire resistance, toxicity, corrosion resistance and fume opacity. We use highly insulating materials for industrial and military applications: Vamac (ethylene acrylic elastomer), neoprene, silicone and fluorosilicone. We also manufacture special seals for shielded connectors in silver-, copper-, aluminium- and nickel-based conductive fluorosilicone and silicone.